It was Brisbane by train actually, or trial by train to be more precise. On weekends for people of a certain age, public transport is a hideously slow but quite economical means of getting about. In our now carriage-less state it seemed like the only way of getting about really if we wanted to be present at our Miss Eight’s birthday bash more than a hundred kilometres away. In our other life are very used to commuting by train. One of our simple pleasures is derived from monitoring our GPS when we do, watching in awe and fascination as the speed drops to two hundred kilometres per hour as we slow through stations, always arriving to millisecond perfect time. It came as something of a shock therefore that not only was the train more than ten minutes late when it arrived, but at no time during our several hours aboard did the speed exceed a thrilling maximum of forty-six kilometres per hour. To rub salt into the already weeping wound, as soon as we boarded there was an announcement to the effect that the toilets were out of action, so if we could all please hold on, we’d have a toilet stop in Caboolture. Astonishingly, that we did. All those who felt the need to go, went. This was of course with a polite warning to get a bit of a wiggle on as they did, in consideration of those left waiting on the train. Who knows whether heads were counted on and off, but eventually we did get going again and no one seemed to have been left behind. Miraculously, our connections must have been similarly delayed and we were able to join each leg of the journey without further obvious hold up. Four hours later, having travelled about one third of the distance that we will be travelling next week in France in a little over one hour, we arrived relaxed and happy, in the knowledge that public transport in Queensland may not be efficient, but at least it can be had for less than a dollar per hour. Looking forward to another season of Fading Memories. Thank-you for the time you take to post beautiful photos and entertaining and informative commentary. Thanks for the kind words @AJ Fading Memories will be back full time next week, I'll try to live up to your expectation! 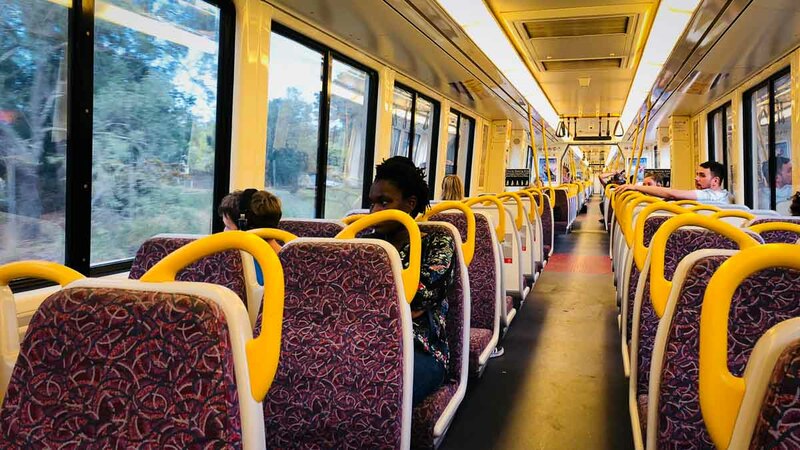 Weekend train travel on Qld trains should be a breeze for the fearless commuters of the canals. Glad that all your health problems have been sorted out. I was beginning to think that you had left the country unannounced or I had somehow deleted you from my inbox. I am pleased that neither was the case and look forward to receiving your photos and descriptive commentaries of your daily adventures over the next few months. @ The Browns, Hi and glad to say we're still here, flying out on Sunday or is it Monday? We'd NEVER sneak out, and so glad we weren't deleted! Cheers!